This is Glaser Weil. Your Powerhouse. Whatever the matter, our commitment to exceptional legal representation remains constant and lays the groundwork for all we do for clients locally, nationally and throughout the world. Since Glaser Weil’s beginnings, we’ve never lost sight of our most non-negotiable mission: To provide our clients with the imaginative, astute, responsive — and enormously dedicated — service that is in their best business and personal interest. Simply put, our clients’ goals are the Firm’s goals, and anything less than top-notch, accomplished and successful representation is not an option. The depth of our lawyers’ skills and experience, combined with Glaser Weil’s cross-practice, interdisciplinary approach, enables us to best serve our clients expertly in a wide range of matters and venues. Be it at the negotiating table, before legislative and regulatory bodies or in a boardroom or a courtroom — whenever and wherever our clients need us, we are there. That is not all that distinguishes Glaser Weil and its team of attorneys. 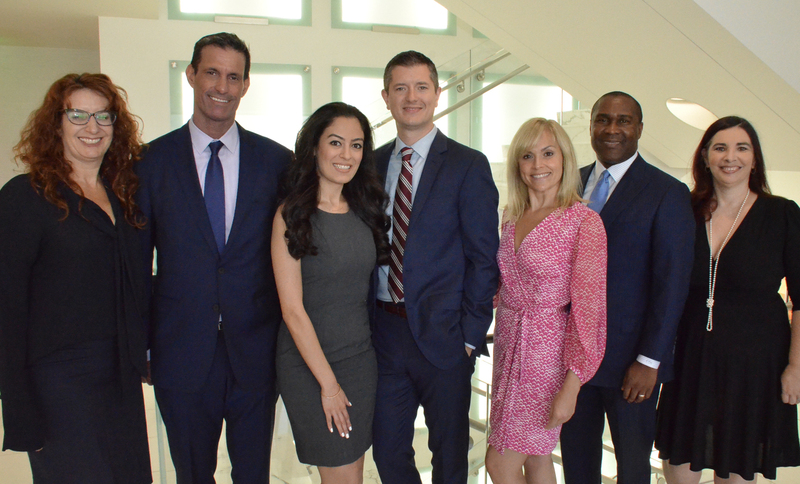 The fact that many of our attorneys have worked together for much of their careers fuels a rare, close-knit, collaborative style that differentiates the Firm and allows our lawyers to work together as a cohesive team to achieve superior results for our clients. This approach, in addition to the Firm’s low partner to associate ratio, ensures that we consistently represent our clients in the most focused, customized and cost-effective fashion possible. In the end, Glaser Weil is defined by our clients’ success and the roles we may have played in assisting them achieve their goals. We work daily to maximize our clients’ business and personal opportunities, overcoming their challenges and problems and always keeping them far, far ahead of the curve. We invite you to learn more about the Firm's sophisticated practice areas, attorneys and their work by exploring the links above. Powerful. Passionate. Precise. Proven. These are the qualities that make Glaser Weil Your Powerhouse. We know it’s a big claim, but it’s one that we live up to every day. Strong, enduring client relationships lie at the heart of everything we do at Glaser Weil. With that in mind, we are aware, now, more than ever, that clients deserve the maximum return on their investment with us. To make sure we deliver on that promise of accountability — and much more — the Firm adheres to several key tenets of client service that informs every decision and move we make. Since we view our clients’ problems as our own, we take their expenses very seriously. Both our transaction and litigation attorneys understand that the price for the best legal services is only increasing and that clients of all sizes and industries are striving to control their legal costs. Glaser Weil employs a sensible “lean-and-mean” approach to staffing cases. And we do so without ever compromising the superior quality and positive results for which we are known. The Firm assembles the best possible team for every matter, thus enabling clients’ ready access to the bench-strength of our firm’s considerable collective talent. This team approach allows us make sure that every case is handled both efficiently and expertly, whether it is a business transaction, jury trial or administrative hearing. Other cost-effective practices include: Dispatching only essential personnel to depositions, court appearances and business meetings, and employing economic alternatives such as electronic research, paralegal personnel, video conferencing and other technologies. When disputes occur, the Firm's litigation partners are recognized as simply the best. Over the years, they have mastered a style that integrates well-considered aggressiveness with pragmatism that ensures we represent our clients in the most fervent, yet focused and economical fashion, possible. Our lawyers have extensive, hands-on experience in trials, appeals, administrative hearings, arbitrations and other forms of alternative dispute resolution. The Firm’s reputation for taking cases to trial — when no other resolution is available — benefits our clients in a number of ways. For one, it gives them a distinct advantage from Day One: Our adversaries realize that Glaser Weil is a force to be reckoned with — one that will go the distance, leaving no stone unturned or option ignored to achieve success for our clients. This often translates as a warning message to those whose cases are vulnerable in any way.